Eagles Of Death Metal revient pour finir son concert parisien le 16 février 2016 à l'Olympia. Toutes les personnes présentes au Bataclan seront invitées à l'Olympia le 16 février prochain et sont donc priées de se faire connaitre auprès de leur point d'achat du 5 au 20 janvier, afin d'échanger leur billet du Bataclan contre une invitation pour l'Olympia. Les places restantes seront mises en vente le 20 janvier, il est donc inutile de vous précipiter sur les sites de revente. (Wednesday 16th December 2015) EODM will return to Europe in 2016 to complete their postponed tour dates, including what will surely be an emotional return to Paris. 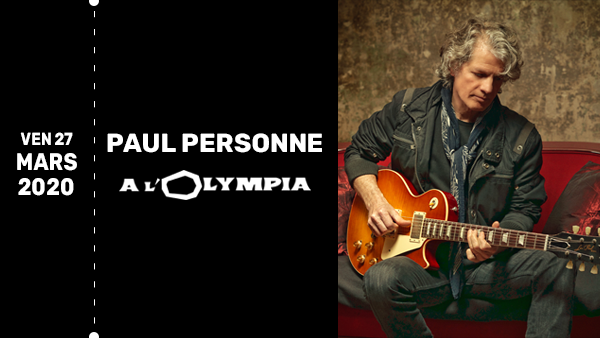 Fans who were at the Bataclan show on November 13th will be entitled to a free ticket for the rescheduled Paris date at the Olympia Theatre on February 16th. They must contact their original ticket supplier between January 5th and January 20th to claim their ticket. Unfortunately, the Bataclan Theatre will not be open again in time for the band's return on this tour. Fans who previously bought tickets for the remaining European dates will have a pre-sale window beginning Thursday to re-purchase their refunded tickets. They will need to provide proof of original purchase. “The people of Paris have always been incredible to us, and our feeling of love towards this beautiful city and its people has been reinforced a million times over this past month. Hearing the stories of the survivors, the injured and those who have lost loved ones has been overwhelming. Not returning to finish our set was never an option. We look forward to coming back in February and continuing our mission to bring rock 'n' roll to the world."